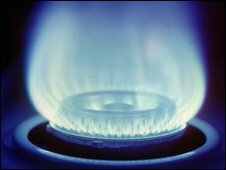 British Gas owner Centrica is raising £2.2bn from existing shareholders to fund its acquisition of a stake in British Energy. The rights issue is for 1.4 billion new shares costing £1.60 per share and three new shares will be issued for eight existing shares. Centrica plans to buy 25% of British Energy, assuming the £12.5bn bid by EDF for the UK nuclear firm goes ahead. Centrica also said in an update that trading was in line with expectations. The company said that all its major investors would take up the offer and the rights issue would help strengthen its balance sheet. Its shares ended slightly lower, down 0.57% or 1.75 pence, to 304.5p. Centrica said the extra capital would help it in the current market turmoil, when "opportunities can arise rapidly and traditional sources of short-term capital are less available". Centrica underlined that it wanted to find ways to reduce its exposure to fluctuations in wholesale gas markets, which would help lead to more stable prices. France's EDF agreed to sell a quarter of British Energy to Centrica after its £12.5bn planned takeover of the UK nuclear power plant operator in September. The EDF deal still requires regulatory approval. Centrica's planned acquisition came amid concerns about concentrating too much power over the UK's future energy needs in the hands of a foreign state-owned company. How does green energy work?